Digital Library of 165,000+ Journal & Conference Proceedings Papers, Multimedia & more! The Learning and Technology Library is a valuable online resource for researchers and educators on the latest research, developments, and applications related to all aspects of Educational Technology and E-Learning. The Library includes 165,000+ journal articles, proceedings papers, dissertations, presentations, etc. and all AACE journals and conference proceedings from 100s of publishers. Contact Copyright Clearance Center for all photocopying permission requests or for permission to reprint an article. Advances in technology and the growth of e-learning to provide educators and trainers with unique opportunities to enhance learning and teaching in corporate, government, healthcare, and higher education. IJEL serves as a forum to facilitate the international exchange of information on the current research, development, and practice of e-learning in these sectors. JCMST is the only periodical devoted specifically to using information technology in the teaching of mathematics and science. The Journal offers an in-depth forum for the exchange of information in the fields of science, mathematics, and computer science. The Journal’s published papers related to the underlying theory, design, implementation, effectiveness, and impact on education and training of the following interactive learning environments: authoring systems, CALL, assessment systems, CBT, computer-mediated communications, collaborative learning, distributed learning environments, performance support systems, multimedia systems, simulations and games, intelligent agents on the Internet, intelligent tutoring systems, micro-worlds, and virtual reality based learning systems. Designed to provide a multi-disciplinary forum to present and discuss research, development and applications of multimedia and hypermedia in education. The main goal of the Journal is to contribute to the advancement of the theory and practice of learning and teaching using these powerful and promising technological tools that allow the integration of images, sound, text, and data. A forum for the exchange of knowledge about the use of information technology in teacher education. Journal content covers preservice and inservice teacher education, graduate programs in areas such as curriculum and instruction, educational administration, staff development, instructional technology, and educational computing. 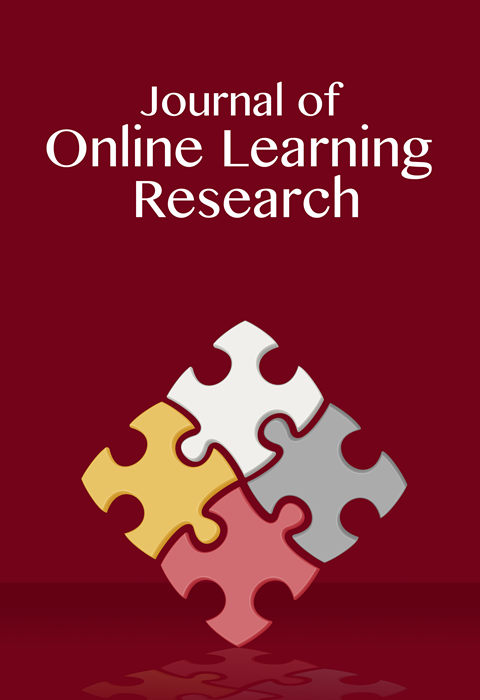 The Journal of Online Learning Research is a peer-reviewed, international journal devoted to the theoretical, empirical, and pragmatic understanding of technologies and their impact on primary and secondary pedagogy and policy in primary and secondary (K-12) online and blended environments. An electronic publication of the Society for Information Technology and Teacher Education (SITE), established as a multimedia, interactive counterpart of the Journal of Technology and Teacher Education. Funded by the U.S. Department of Education Preparing Tomorrow’s Teacher to Use Technology (PT3) catalyst grant, CITE makes possible the inclusion of sound, animated images, and simulation, as well as allowing for ongoing, immediate dialog about theoretical issues.